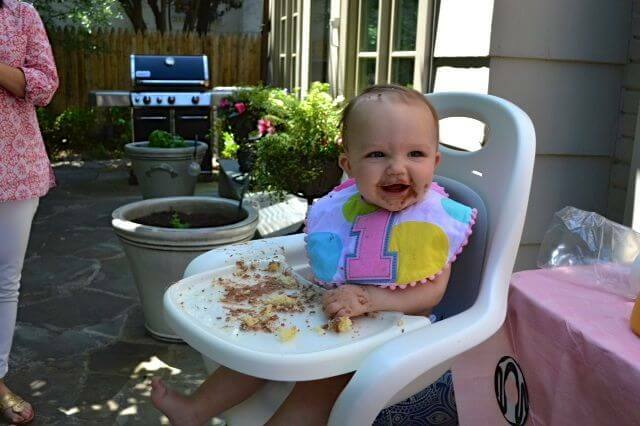 For Marshall Mae’s first birthday, we helped her mom create a birthday party with a super sweet inspiration…donuts! 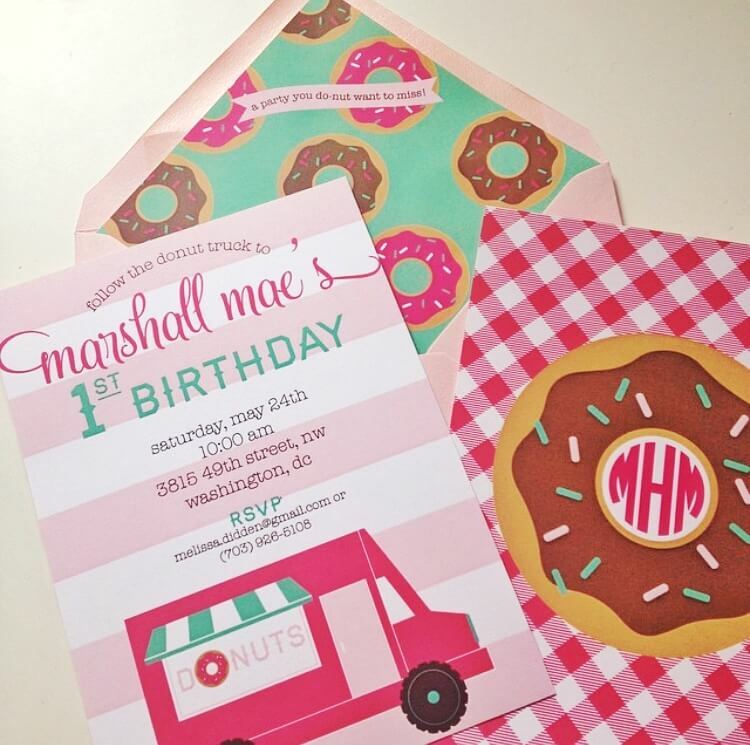 Since a donut truck was making an appearance at her party, we used the treat as inspiration for her invitation and party swag. 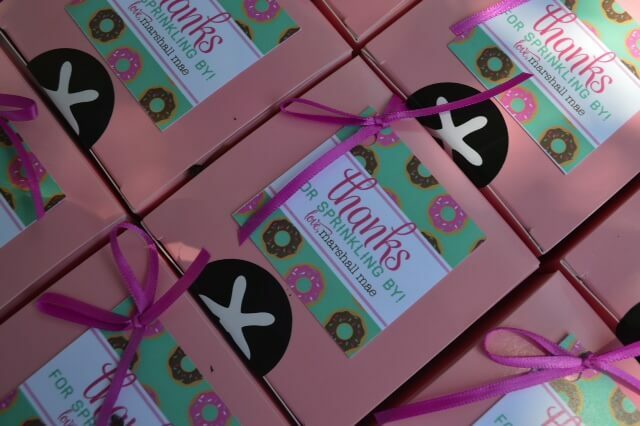 For her preppy donut birthday invitation, we incorporated a preppy pink and green color scheme and added in classic patterns like stripes, gingham, and of course…donuts! 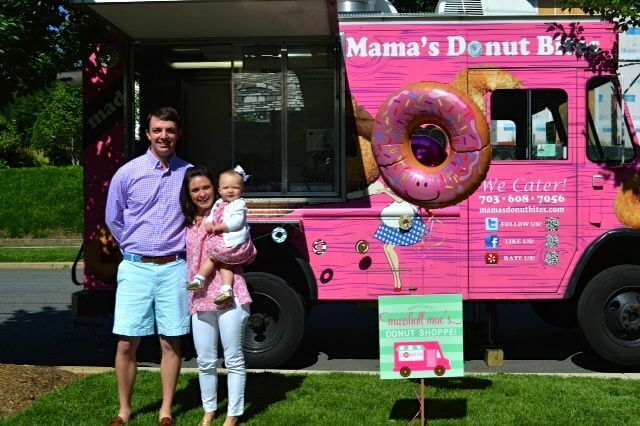 We even included a hot pink donut truck on the front of her invite that matched the truck at her party. 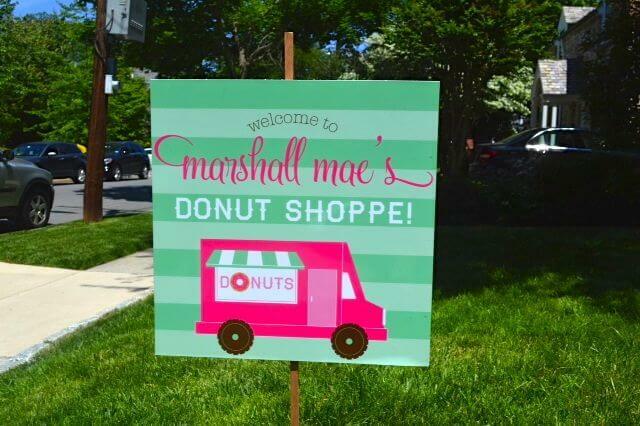 For party swag, we helped create favor tags and a sign for the front yard so party guests knew when Marshall Mae’s donut shoppe was open for business!